As part of a partnership with The Music School of Delaware, the dynamic “Mosaic String Duo”*** will perform a program that highlights the diversity of American cultures, as reflected in the Biggs’ exhibit “Rooted, Revived, Reinvented: Basketry in America.” The performance will take place amidst the exhibit and will build a bridge between the musical and visual arts of our nation. Pre-registration is required by April 19th. Doors will open at 6:30 pm. ***please note, this performance was advertised to feature the Great American Songbook performed by Colin Armstrong and Alexandre Abdoulaev, but, due to unforeseen circumstances, the program and performers have changed. Doors will open at 6:30 pm. To explore the array of weaving traditions from the mid-Atlantic, this first lecture series in a new program highlighting exceptional emerging scholars in American art will explore the net making traditions of the Native Americans of the Mid Atlantic. 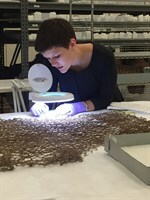 Over the course of three workshops, University of Delaware Senior, Annabelle Fichtner, will examine net making tools, materials, and techniques. Each program will address a different aspect of the process and some will offer participants the chance to try their hand at net tying. Fichtner conducted her research for these workshops as part of her senior thesis in collaboration with the Lenape Tribe of Delaware Cultural Mapping Program. Pre-registration is recommended for all three programs and is free to the public in conjunction with the Biggs’ free First Saturday program. Join the members of the artist collective ArtLane for a discussion in conjunction with the current Biggs exhibit, Visualizing the Museum. The conversation will touch on what went into their artistic discovery of the Biggs, the current state of photography, and the way an artist collective can function. Light refreshments will be served. The annual Award Winners exhibition features the talent of the Delaware Division of the Arts (DDOA) Individual Artist Fellows. The Fellows are recommended by out-of-state jurors based on the high quality of their artwork and receive Delaware State Arts Council approval. Each year, the Biggs Museum invites the award winners to the only group exhibition honoring their combined accomplishments in visual and media arts, literature, and music. Join the Biggs and DDOA to recognize this year’s artists for the high quality of their work at the Award Winners XIX Reception and Award Ceremony. The evening include performances and presentations by select fellows and light hors d'oeuvres will be served. This event is free to the public. Bigg(s) Earth July 8th - 12th Young artists, ages 6 to 9, can spend a week in July at art camps designed to inspire creativity. Each camp will be led by museum staff in the Child HELP Foundation Gallery Monday through Friday from 9 a.m. until 12 p.m. Children will explore the museum during these camps and discover many different types and styles of art such as painting, sculpture and drawing. Please make sure children wear old clothing and bring a snack each day. If you camper is a future ecologist, botanist, or zoologist, then this session is for them. During this week, campers will learn about the environment and create different eco-centric crafts! Help celebrate the Delaware Division of the Arts’ Award winners in music during an afternoon concert at the Biggs. The event will feature performances by guitarist Kevin J. Cope and folk musician Shelley Kelley, with performances of original music by composer D.H. Regnier. ***please note, this performance was advertised to feature the Great American Songbook performed by Colin Armstrong and Alexandre Abdoulaev, but, due to unforeseen circumstances, the program and performers have changed. Doors will open at 6:30 pm. Biggs Beach Week July 15th - 19th Young artists, ages 6 to 9, can spend a week in July at art camps designed to inspire creativity. Each camp will be led by museum staff in the Child HELP Foundation Gallery Monday through Friday from 9 a.m. until 12 p.m. Children will explore the museum during these camps and discover many different types and styles of art such as painting, sculpture and drawing. Please make sure children wear old clothing and bring a snack each day. Is your camper a little beach bum? If so, bring them into the museum this week for summer themed crafts including paper lanterns, cardboard castles, and a sailboat mural. We’ll sea you at the museum! Pre-registration is required. 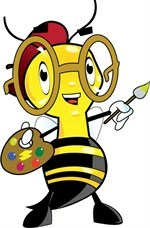 Tweens Art Camp July 15th - 19th NEW THIS YEAR! Tween age artists ages 10 to 12 can spend a week in July at an art camp designed to for older campers. This session will only be offered one week in July and will be led by museum staff in the Child HELP Foundation Gallery, Monday through Friday from 1 p.m. until 5 p.m. Tweens will develop their art observation skills to dive into more advanced projects. Pre-registration is requied. Color Explosion! 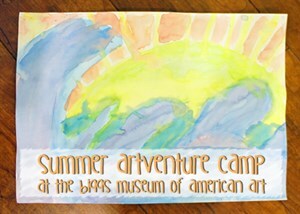 July 22nd - 26th Young artists, ages 6 to 9, can spend a week in July at art camps designed to inspire creativity. Each camp will be led by museum staff in the Child HELP Foundation Gallery Monday through Friday from 9 a.m. until 12 p.m. Children will explore the museum during these camps and discover many different types and styles of art such as painting, sculpture and drawing. Please make sure children wear old clothing and bring a snack each day. Fill your camper’s week with color during this session at the Biggs. Campers will learn about the color wheel and experiment with multiple mediums. Each day will be filled with unique, colorful crafts! Pre-registration is requied.